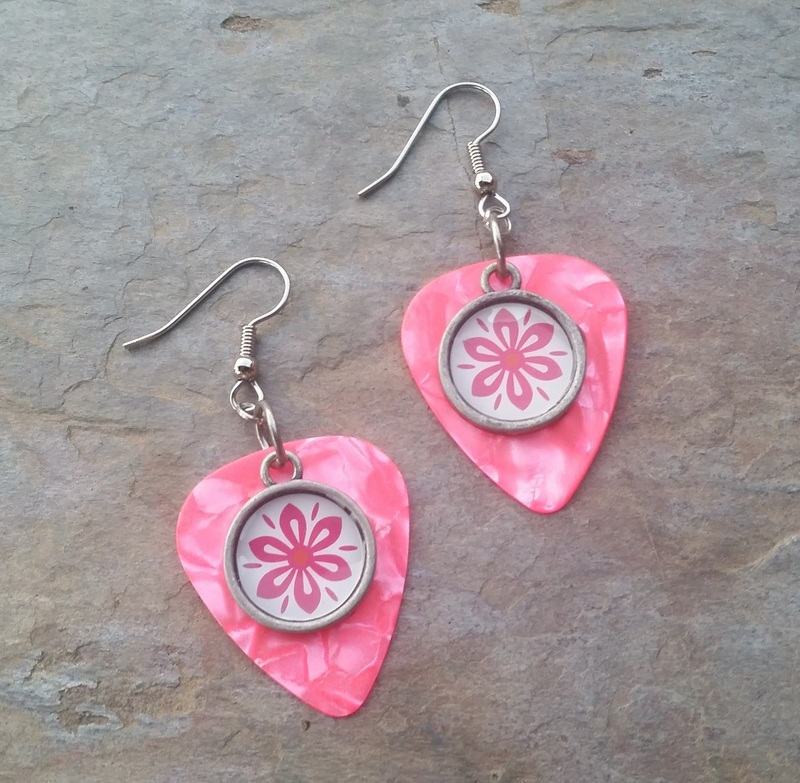 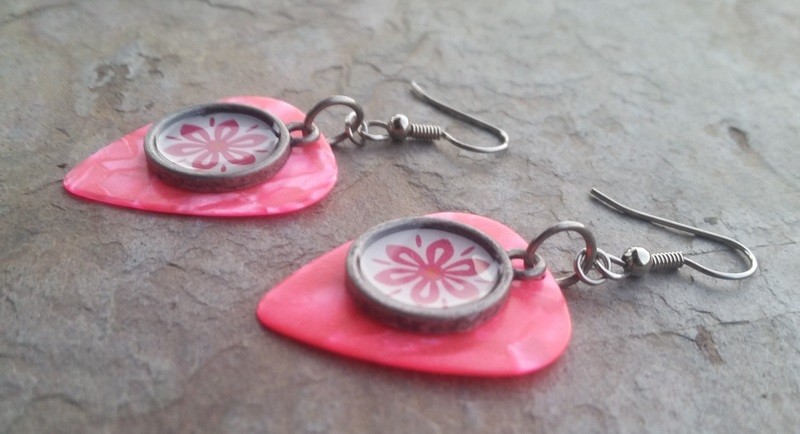 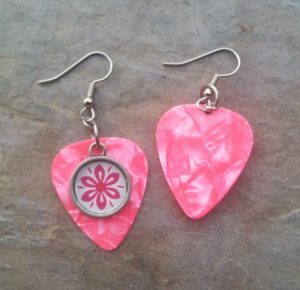 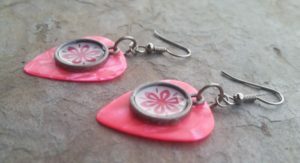 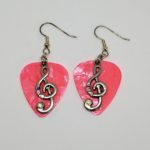 Darling pink stylized flowers and celluloid pink guitar picks make lightweight and fun earrings. 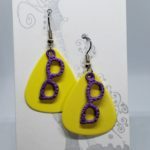 The earrings measure 1″ x 1 1/4″ from the ear wire. 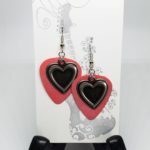 The ear wire is surgical stainless steel that is good for sensitive ears. 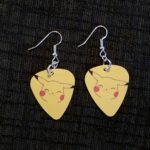 They come packaged in an organza bag.